Show your thanks with our Blooming stamp set. The hexagon shaped frame and flowers creates an elegant image. Add the extra sentiments for a more personalized touch. 11 total stamps. Hexagon/flower frame stamp measures: 4 5/8" x 3 5/8"; flower bud stamp measures: 3/16" x 1/4"; for your kindness sentiment measures: 7/8" x 5/16". 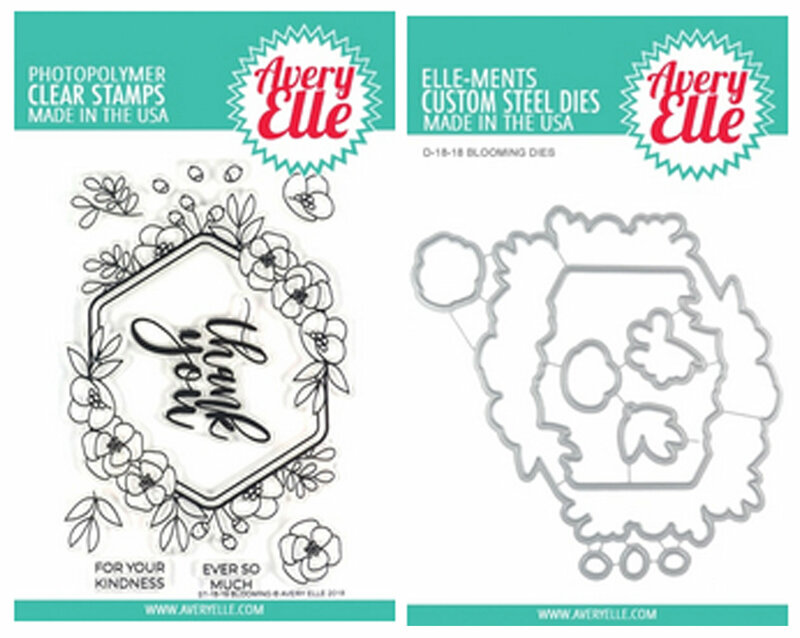 Our Exclusive clear stamps are proudly made in the USA.